Under a heavy cover of snow, the bridge appears ‘broken‘ from a certain angle. The play of light on the white snow causes a visual effect which makes Broken Bridge look like it is in two parts. 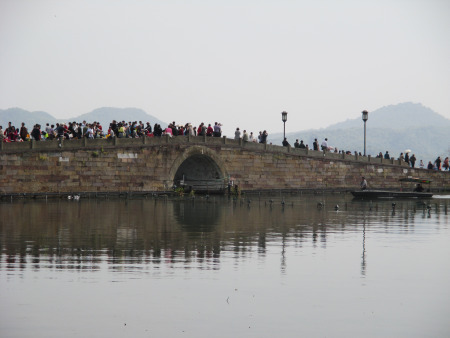 West Lake in Hangzhou has many beautiful bridges, all with poetic names. Broken Bridge has a well-known folk story connected to it. White Snake was a snake who, after meditating and discipling herself for thousands of years, metamorphised into a beautiful woman. When she fell in love with a young physician, they married and lived happily. 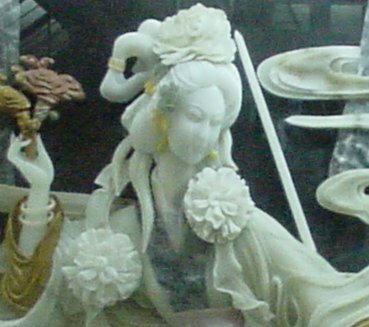 Bai Suzhen – Lady White Snake – helped Xu Xian – the young physician – heal the sick. 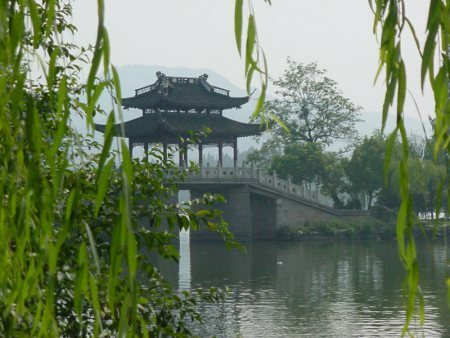 This entry was posted on Tuesday, June 16th, 2015 at 08:52 and is filed under China. You can follow any responses to this entry through the RSS 2.0 feed. You can leave a response, or trackback from your own site. You are welcome. I’ve been to the Westlake several times, and I learned something new about it from your post.